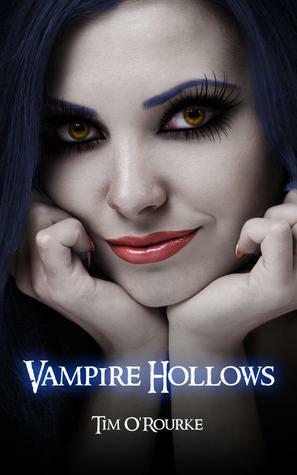 Well, ‘Vampire Hollows (Keira Hudson Book 5, Series One)’ is certainly full of surprises. It has been a rollercoaster ride of good and bad, highs and lows and the impact it has on the readers’ emotions is extraordinary. Tim O’Rourke’s writing is as descriptive as ever regarding the scenery, so much so that it feels like you are actually there, spectating the events that unfold. I have never experienced a book that captures the soul as the Keira Hudson novels do. It is an experience that makes you feel so alive, like you are a part of the story, like you are a character in the story, assisting Keira on her journey. 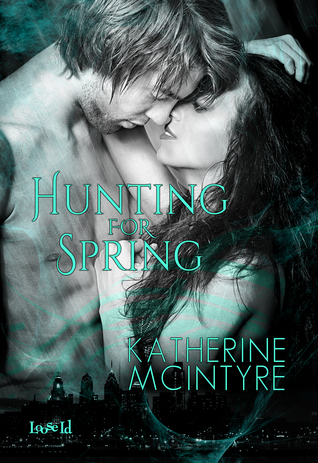 Keira has gradually been changing and becoming slightly more like a Vampyrus throughout the series and because of how gradual this has taken place the reader does not disconnect with her in any way. Keira was as human as you and I during the Ragged Cove adventure (with the exception of her being able to see the most obvious and piecing it together very quickly) and it is only when looking back at the first novel that we realise how far she has come. And yet we love her, perhaps even moreso than when we were first introduced. I love the fact that she can control her new features and how she flies. The description on how she flies through the air, with the skin on her face rippling, due to her velocity and the wind blowing at her, is just exhilarating and makes it all the more realistic. Also, her seeing ability is still present as we are taken back and forth into her mind’s eye. Some scenes here are graphic and remind me of the tv programme ‘Silent Witness’. Wherever Keira seems to end up her prize possessions never leave her: Murphy’s crucifix and her beloved iPod. The use of this iPod and the song choices, as mentioned in earlier reviews, have a very stronghold in connecting with the characters and the scene that they are used in. It does not disappoint! Potter is by far my favourite character, even above Keira I have to say. He is like, to me, a younger version of the character Gene Hunt from the ‘Life on Mars’ and ‘Ashes to Ashes’ series. Even though he is meant to be young, he is witty, sarcastic, moody, stubborn, etc, with oldskool phrases suchas “easy, tiger” and “sweetcheeks”. He is a man of mystery and darkness, and yet he is very moral and loyal. We are constantly kept on our toes wondering if he is the traitor or not. There are so many twists and turns that absolutely nothing is obvious. This series truly is an escape that feels so real. There are also many questions for the reader to seek answers to: is Luke still alive; will Potter resuce him; who is Elias Munn; will Keira decide to end all human life or end the Vampyrus’? The Vampyrus truly are incredible creatures and the description of their wings sounds breathtakingly beautiful. I imagine the movie ‘Michael’ with John Travolta and the more recent ‘Legion’ with Paul Bettany when picturing their wings. They sound heavenly even though some are cruel creatures. Which leads me again to reiterate some of my earlier reviews of this series that the characters are very believable. They all say and do both good and bad, making it near impossible to find out who the possible ‘traitor’ amongst the group is. Again, there are different types of beings to look out for with Vampyrus, Lycanthrope and half-breeds. The Lycanthrope character, Jack Seth, is a large guy, reminding me of Alcide Herveaux from the ‘True Blood’ tv series but with the moodiness and, for me, a slight disconnection like that of Jacob in the ‘Twilight Saga’. We are also introduced to new characters, such as Coanda and The Elders. The Elders seem to hold the authority in the Hollows and nothing seems to get passed them. They cannot be fooled. Even writing this review now I cannot escape the atmosphere of the book. The Hollows are a mix of caves and dark tunnels with some open spaces. The rocks are mostly red, like you would imagine on Mars, however some areas within the tunnels are grey and dark. Some areas are mountainous while other areas are wooded. Then there is the light from the Lighthouse, the lava, the ash and dust and the murky fog in the tunnels. If you would like adventure, action, mystery, love, and excitement this series will completely blow you away.